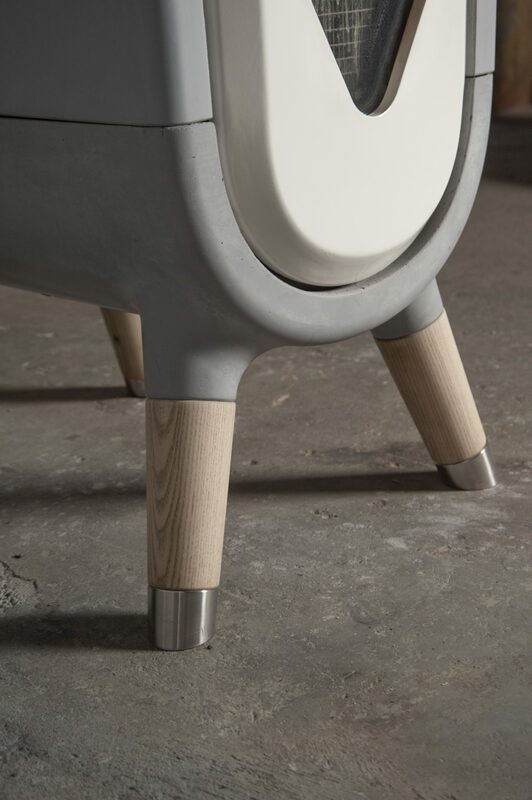 Studio Tjep is proud to present the first result of an ongoing collaboration with Vuurs, a Dutch start-up in the field of advanced environmentally friendly wood stoves initiated by Bram Opdam. 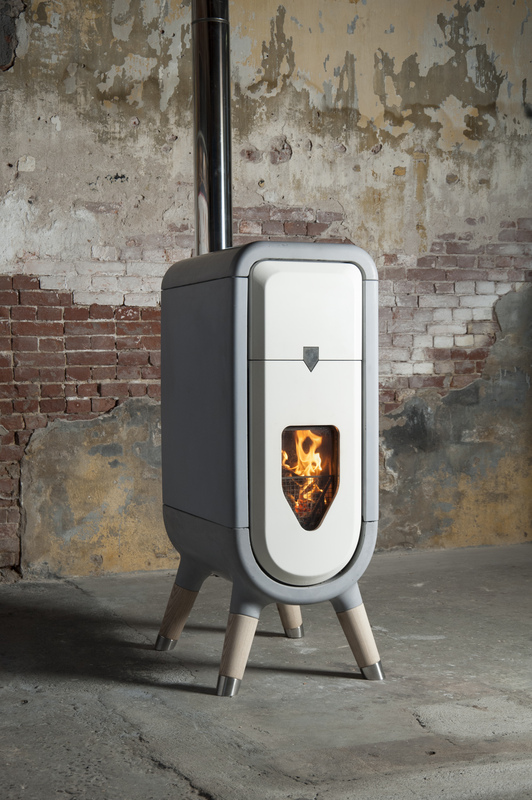 Studio Tjep is responsible for the exterior design of theVuurs I stove. Vuurs I is available on pre-order for next winter season. The name Vuurs is derived from the Dutch word for fire: vuur. Vuurs is developing a new generation of consumer wood stoves with emissions far below the most stringent standards. With an efficiency of over 90%, theVuurs heaters are among the cleanest and most efficient in the world. The core of the Vuurs stove is based on Yocoon combustion technology (a rocket stove principle optimized by Maarten Kraanen). The combination of the high temperature and an extra oxygen infusion are optimally adjusted by means of a two-stage combustion. The first stage is equivalent to a traditional stove where hot air is produced at a temperature of approximatively 400 degrees. This hot air is guided towards the next chamber for secondary combustion with the extra oxygen input, here the temperature rises to no less than 1200 degrees. The result is an extremely clean combustion with minimal harmful emissions on the one hand and on the other the basis for extreme heat accumulation in the concrete composite envelope of the stove for a day-long comfortable temperature experience based on minimal combustible consumption. 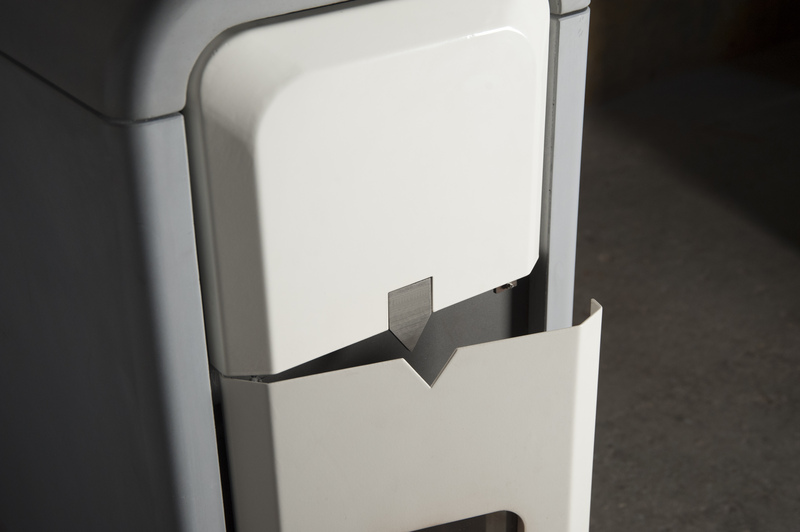 Vuurs heaters are among the cleanest and most efficient in the world. Elegance allied with technology to produce sustainable warmth at the heart of your home.